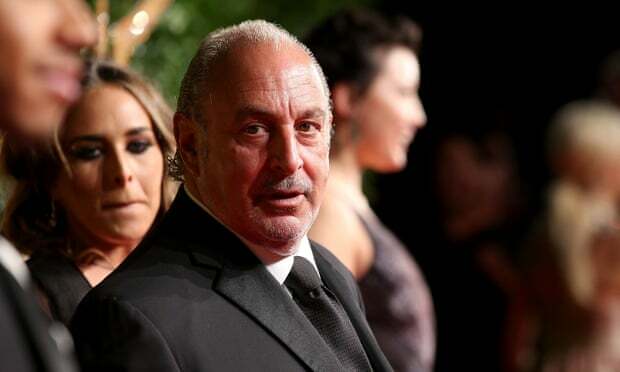 The billionaire businessman Philip Green vehemently denies the allegations that he is guilty of sexual harassment and racial abuse of staff. Yet what we do know is that Green hardly considered creating great places to work as fundamental to leading a business. According to Oliver Shah, the Sunday Times journalist, in his superbly researched biography of Green, Damaged Goods, public roastings were a regular way of interacting with staff. Green was a foul-mouthed, amoral deal-maker with an ego the size of a house who could only float to the top in the crazed world of credit-driven, property-bubble Thatcherite and Blairite capitalism, aided and abetted by an unsavoury cast list of loan sharks, fraudsters, indulgent bankers and fawning journalists, notably the former Sunday Times business editor Jeff Randall to whom he regularly fed gossip in return for admiring write-ups. He had a talent for cutting costs, but his greater talent was creating the reputational halo that allowed him to get finance to acquire the next business and then using every available loophole to direct as much money as possible to himself – from the £1.2bn tax-free dividend to his wife in Monaco in 2005 to the attempt to avoid his responsibility for the BHS pension fund after he had knowingly sold it to a bankrupt. Under intense public pressure last year he finally inserted £363m into the fund. The purpose of the businesses he acquired for his holding company, Arcadia, were not to do anything noble. They existed as his personal baubles to enrich him – he is now worth £2bn – so that he could swagger in public admiration, indulging his entourage and circle of acquaintances with over-the-top parties, basking in the presence of stars from Kate Moss to Ronnie Wood. Now, of course, the curtain has come down on the whole sorry story. Green, with his knighthood conferred by Tony Blair for “services to retailing”, is a national embarrassment and Arcadia is facing the same hostile high street environment as every other retailer. This, writes Harvard professor Iris Bohnet in her recent book What Works is a woman’s dilemma. She cites the famous example that it was only when the Boston Symphony Orchestra insisted on blind auditions, with other orchestras quickly following suit, that female musicians’ talent became properly recognised. Audition behind a curtain and even panels that included women would have their unconscious bias against women removed. The stereotype men and many women carry in their heads is that women are caring, nurturing, likeable and that clashes with a conception of competence. Women can’t win. If they’re likeable and attractive, they can’t be competent, if they’re competent, they can’t be likeable. The damaging stereotypical bias is that women will opt for likeability. Bohnet’s answer is that myriad interventions are possible, like the blind audition, to filter out unconscious bias. Thus can organisations become more creative and productive. But first the organisation’s leaders need to want to create such great workplaces and to recognise their importance as the cornerstone on which to build a value-generating business. Green was not signed up to this. His concept of business, it seems, was of the firm as his fiefdom and his staff as his chattels – to be fired, hired and valued as he thought fit. It is a widespread view in too many British companies, even if the directors would recoil at the comparison with Green. Staff are not seen as members of the organisation, essential to co-creating wealth – they are seen as disposable commodities and their voices, opinions and views of the business are to be disregarded. Philip and Tina Green are today’s exponents of long-standing traits of British capitalism that in the 1950s gave us Bernard and Norah Docker, presiding over the decline of our champion motorcycle manufacturer, BSA, as they milked the company to finance their notoriously extravagant lifestyle. The answer might not be to nationalise everything. But it certainly isn’t to celebrate such an approach to capitalism, as rightwing Brexiters do, celebrating the “buccaneers” who, once we’re unleashed from EU membership, will drive Britain to the sunlit uplands. This is rightwing Brexit moonshine, ignorant of the roll-call of great names, from Dunlop to ICI, Turner & Newall to Lucas, who have all succumbed to the nexus of badly incentivised managers, short-term, disengaged, greedy shareholders and owners and an underskilled, undermotivated workforce. All of our own making. British capitalism needs a root-and-branch makeover. We need more firms committed to creating value over time, animated by a purpose. Firms that want to be great places to work, to serve their customers, to possess shareholders who take on that vision and to recognise their responsibility to the society of which they are part. A national conversation about how to do this has not even begun. Until then, there will be more Philip Greens.